Books and writing | The Pagan & the Pen ~ An Online Magazine! Fiction, non fiction, blogs, magazines and Pagan writing. 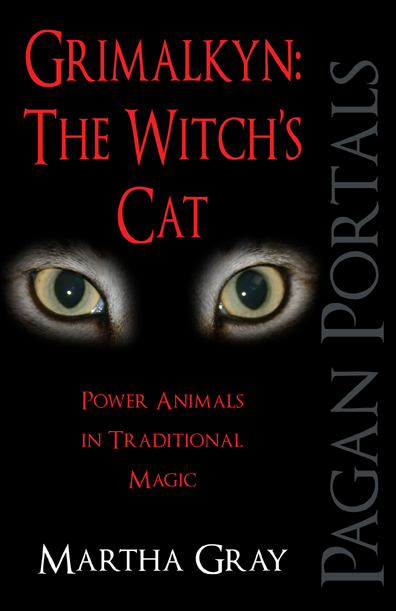 Here’s an excerpt from Pagan Portals – Grimalkyn, The Witch’s Cat: Power Animals in Traditional Magic Paperback by Martha Gray, published by Moon Books 29 March 2013. The second largest of the four big cats – tiger, leopard and jaguar – the only four that can roar and which are thought to have evolved into their class around 1.6 million years ago. They are muscular and stocky, which they use to their advantage in bringing down prey. Lions live in family groups, known as a ‘pride’ and are the only members of the cat family to do so, as the others are generally solitary. The males’ main function, with a thick mane to protect them when fighting, is to protect the pride from outsiders including other lions, while the females do all the hunting and rearing the cubs. Symbolically, the lion represents kingship, strength, courage, honour and valour. There are depictions of lions all over Europe, Asia, and the Middle East, with the most famous being those of ancient Egypt. The oldest images are the paintings in the Chauvet caves in France showing a lioness hunting, which are thought to be around 30,000 years old; and paintings of two lions mating in the ‘Chamber of Felines’ in the Lascaux caves. While a prehistoric ivory carving of a lion has been found in the Vogelherd cave in Germany. Ancient cultures used lions to decorate great buildings in order to add majesty to the design, and were widespread throughout Mesopotamia. The gates of Mycenae in Greece also show two lioness-deities flanking a column; while in Turkey, the old Hittite city of Bogazkay, they adorn the walls of the gateways. Persia also used the image of lions on their gates to project the great majesty of their cities. The Greeks saw lions as having not just the power of strength but also of invincibility. In the myth of the Twelve Labours of Hercules, his first task was to slay the Nemean Lion. The beast’s golden fur was said to be impenetrable by any weapon, while its claws were sharper than any sword. Hercules eventually followed it into its lair and used his club to stun the lion, and then strangled it to death. He tried to remove the skin from the lion by using his knife but this did not work; the goddess Athena told him to use one of the lion’s claws and he was able to take the fur to use as a cloak of invincibility. The Greeks identified the constellation of Leo with the Nemean lion. Grey Areas Journal is eclectic, inclusive and multi-cultural…. the creator Yann is a force of nature in himself and welcomes conversation and debate…. as the title ‘Grey Areas’ suggests. Charlotte Gush alerted us to this project having written an article about Shamanism for Grey Areas. That article sits in the ‘Focus on Faith’ section and really is a short commentary on how the Shamanic Way can help heal communities by engaging with Nature. It may be news to some but also a reminder to others. It’s not a specifically Pagan piece per say but is inclusive of, due to her personal path and perspective . We’re always open to shouting out new projects so if you want something promoted, just drop us a line! This is the 15th book I have got from this wonderful author…and I’m quite established at my practice. This book is just brilliant to just dip in and out of, I read it cover to cover when I got it. It covers an array of spells and charms from prosperity to confidence, banishing and healing. It’s perfect for the beginner as well as the more experienced witch. The fab thing about these spells and charms is, that most of the things needed you may have in your home anyway, so no great expense to pay out, and if you have read some of Rachel’s other books you will know if you don’t have something, you can use other things, such as your finger if you don’t have a wand. A brilliant book and well worth a place on your bookcase. Kitchen Witchcraft: Spells & Charms is a the first in a series of books which delves into the world of the Kitchen Witch. Each book breaks down the whys and wherefores of the subject and includes practical guides and exercises. Other titles include Garden Magic, Altars & Rituals and The Elements. The Hidden Worlds by Sandra Ingerman and Katherine Wood. Shamanic YA fiction. Kitchen Witchcraft Spells and Charms, by Rachel Patterson. There are a lot of things in the universe that we don’t understand. When something is meant to happen, it will whether you cast a spell or not. But you can help it on its way by guiding and encouraging it and maybe even tweaking events a little too. A spell can be worked in many ways, from a simple pointing of the finger to a complicated ritual involving lots of herbs and crystals and, of course, any variation in between. What will happen for sure is the boost of confidence and happy buzz you will receive as you cast the spell, as well as the positive vibe you get from putting something into action. 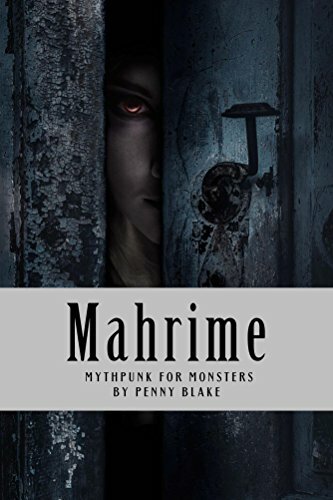 Mahrime, by Penny Blake.A selection of mythpunk stories, prose and poems where monsters take the main stage, identity and power are deeply questioned and love takes some very unexpected forms. Cosmic Dancer reviews Morgan Daimler’s Where the Hawthorn Grows. I noticed from reading a couple of pages, that this was more of a personal journey. The author tells us this up front.. which I found very good. Morgan has brilliantly outlined and described how Celts and Druids practiced in the past. If you yourself wish to learn these ways, or to place them into practice today in a more modern world. Which ever path you may find yourself on, this is a book that is most definitely an interesting book to have and one that I am sure you will read from cover to cover, and maybe time and time again. It has a very interesting section on healing deities along with fascinating chapters on spirits of the land, ancestors, detailed celebrations, life passages , which I particularly likes and which you don’t often see in books, and a section on Celtic magic, which I loved. Community and sacred tattooing which is also interesting to find. A sumptuous blend of traditional lore, excellent scholarship, and a rich and ethical modern practice in the Fairy tradition. I am excited by this work. I liked it enough to order a second copy as a present for my niece. If I hadn’t known Daimler’s work from books like Pagan Portals: Brigit – Meeting The Celtic Goddess Of Poetry, Forge, And Healing Well and Pagan Portals – Irish Paganism: Reconstructing Irish Polytheism, a glance at the cover would have led me to a wrong conclusion. Not because it is the wrong cover for the book—it’s lovely—but because of my own preconceptions. The cover image is of a pretty white woman wearing flowing robes and a flowery headdress, a book open in her hand, and the greenwoods blurring out behind her. Because of the sort of fairy-related things I have seen for years and years, I would have assumed that this was a light feast, possibly not very well researched, or at least, not covering topics that would be of much interest to me. I would have assumed it had an emphasis on a romantic, Victorian idealization of the Fair Folk, or alternatively was a Wiccan book: two things I was hugely drawn to in my younger days (first the one, and then the other), but which have been replaced by a love of the nuts and bolts details of the cultures, tales, and traditions that gave birth to them. Luckily, this is my fifth nonfiction book by Morgan Daimler, and I would not keep coming back for more if I wasn’t very happy with what she has to offer. In all of her books she exhibits a careful and thorough scholarship in tandem with a genuine love of the traditions, both ancient and modern, that she is describing. There is a depth and breadth to her knowledge of the deities and culture of pagan Ireland, as well as a broader understanding of Irish, Scottish, Norse, and German spirit lore. She blends these with a deep personal practice and honest commitment to an ethical and full-bodied Polytheistic path. So when she tells me what she means by a “witch” in the first few pages, and when she says her term Fairy Witchcraft describes a modern Pagan practice that draws on the old Fairy Faiths, I am already sitting up and paying attention, eager to go on reading the book. That is one of the things I like most about Daimler. I know where I am with her: is this information from the texts and traditions of old? Is it a modern idea? Is it her own reworking or new translation of an old text? Is it drawn from direct experience? She does employ all of these things, but she doesn’t mix them together higgledy-piggledy, so it is easier for me to decide what sort of weight to put on them. This is not an easy trick to pull off, and I am grateful to her for the effort she puts into it. Daimler’s writing style is very readable as well. Many books of fascinating information are written in such a leaden way that it is hard for me to plough through them at all. Not so with her. The writing is idea-rich but clear; she is willing to give detail where needed, but doesn’t dwell overly long on each point. I always find myself reading longer than I intended to, because the book is so darned interesting. I am grateful, as I read “Chapter One – Beliefs” and try to get a sense of what Fairycraft is, for Daimler’s lucid, systematic presentation of her materials. She doesn’t neglect the most basic things: e.g. What are gods? How do fairy witches perceive them differently than in other branches of polytheism? How do they differ from fairies? But neither does she talk down to the reader; she is building a structure on a well-delineated base. In “Chapter Four – The Other Crowd and Ancestors” I was particularly touched by her thoughtful exploration of how and why we might honour our ancestors. She addresses the temptation to cherry-pick who we will honour, and who to leave off, and does so in a way that both challenges us and is sensitive to our pain. This is one of the many examples of Daimler’s ability to think about a topic from many angles, and to ask us to live with integrity. Similarly, the insights in her discussion of what makes a space sacred (Chapter Five – Tools and Ritual Space) is a great part of what makes this book so special. This is the longest of Daimler’s books I have read thus far, and it is a pleasure to see her unfold her subject in such detail. The slimmer Pagan Portals books are excellent introductions. Their brevity and strict focus is part of their strength. But in the longer form Daimler is able to stretch her wings, and I am very glad I decided to read a book that gives her that space. For those who get a thrill from new insights into old ways, there is much to appeal in Fairycraft by Morgan Daimler. This is the sort of book I have been looking for for a long time, an absolutely wonderful book full of information on Magic, its a very very must have reference book. I also loved that there were dotted about, some Charms , Spells, Folk medicine, Tree Lore and Seasonal Celebrations. I got this book on kindle but will be making a purchase for a hard copy, well worth having on your book case, you will use it time and time again. I just love they way Melusine writes too. Brilliant.